Leading British designer and manufacturer of quality fitted furniture, Daval, explore this year’s must-have trends for the home and give us valuable insight on the next big thing for 2019 kitchen design. As a result, 2019 kitchen design has become more perceptive, achieving a new level of sensitivity for the home and homeowner. A clever use of discreet reactive storage, emotive materials and ergonomic space planning will all work to making the kitchen space more user-friendly. Fitted furniture really is changing the opportunities for whole-house coordination and as the kitchen diversifies to welcome other rooms in the home, it is inevitable we will experience a host of new tactile materials and finishes. 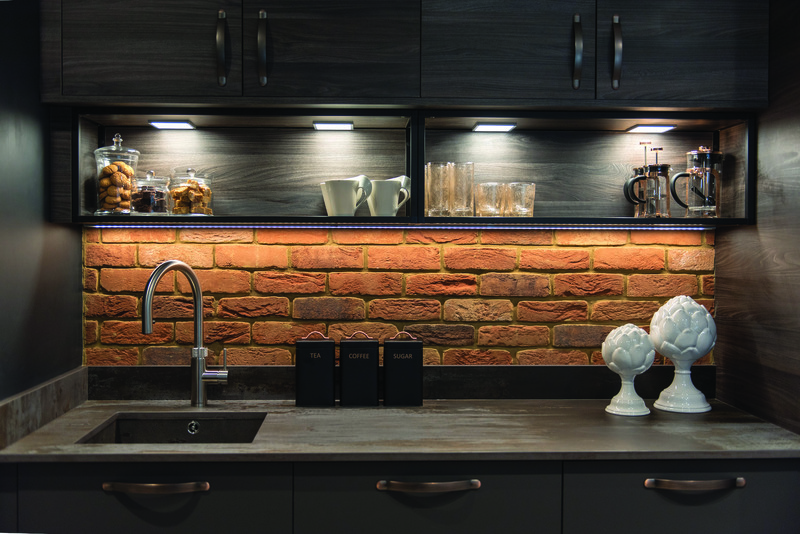 Daval recommend you keep an eye out for sophisticated reproduction metals, stone effects and industrial style accents, as this type of furniture will provide character, help to define zones and/or purpose in your kitchen space, as well as keep costs to a minimum. “If we look at the 2019 colour palette, then the kitchen has adopted a rich aesthetic made-up of nutty browns, milky whites and powdered greys with highlights of black. In terms of finish, then accents of rustic wood, glass, metal, leather and stone will allow you to move away from the typical high gloss/matt finishes and achieve a new level of texture in the kitchen” concludes Simon.